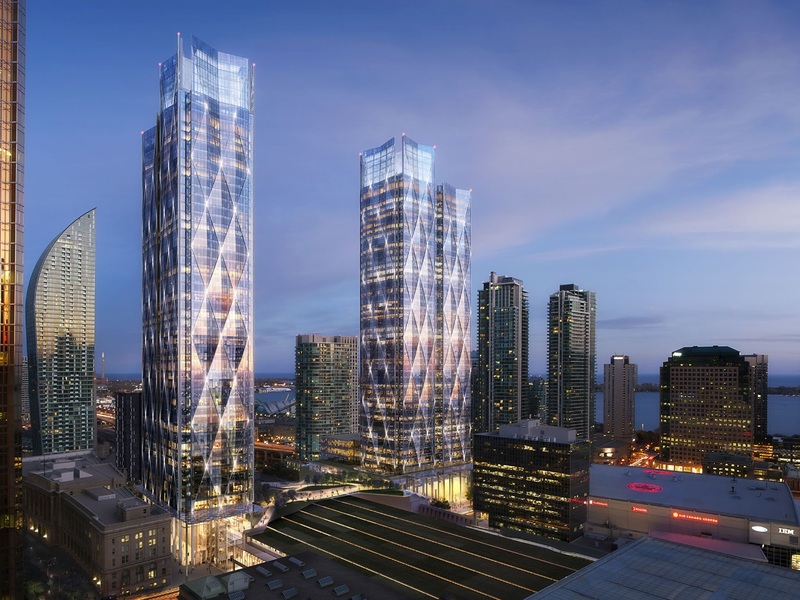 Adamson Associates Architects is the Executive Architect for the new Bay Park Centre, an iconic forward-thinking development located in the heart of the Union Station Heritage Conservation District in downtown Toronto. The project spans the Rail Corridor between Bay and Yonge Streets and includes two high-rise commercial towers which will provide approximately 3.2 million square feet of premium office space, retail, support areas, and 3 levels of below-grade parking — all connected to Toronto’s underground PATH network. 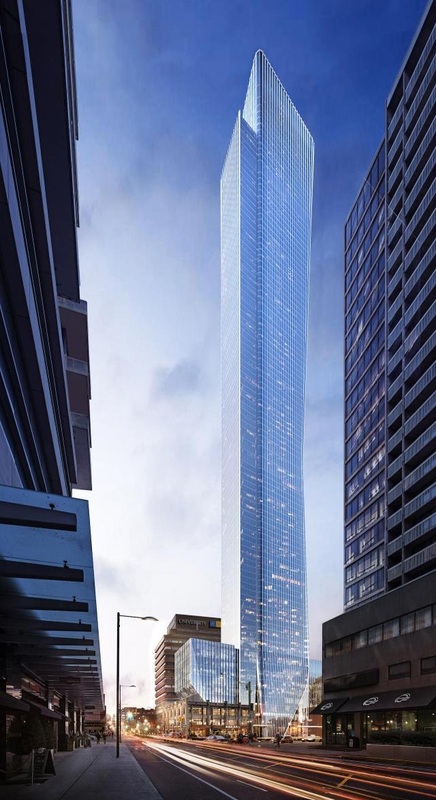 An elevated Sky-Park spanning over the rail corridor connects the two commercial towers and is a major amenity for both the occupants of the 81 Bay Street development, as well as a destination for the general public. 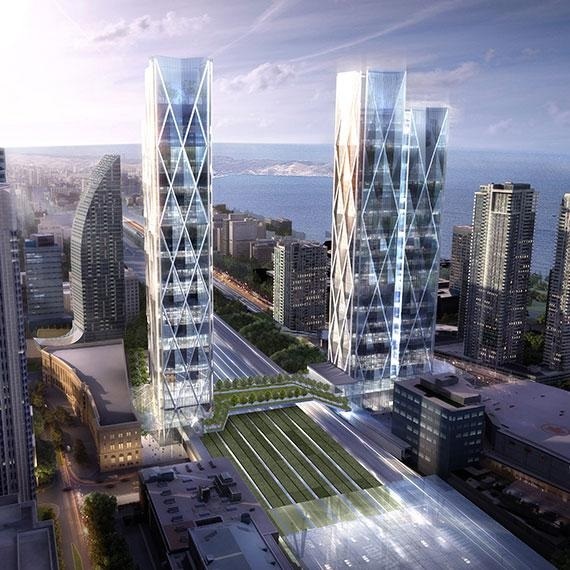 The second tower incorporates a new Metrolinx GO Bus Terminal which capitalizes on its proximity to Union Station and the Gardiner Expressway with future connections to the East Bayfront LRT and TTC to create a larger, more efficient Transit Hub for the City.